The pace of modern living often has us dashing around. But Nature is its own timekeeper and some things take time to reach their peak. Our Ochoa Reserva is one of them. 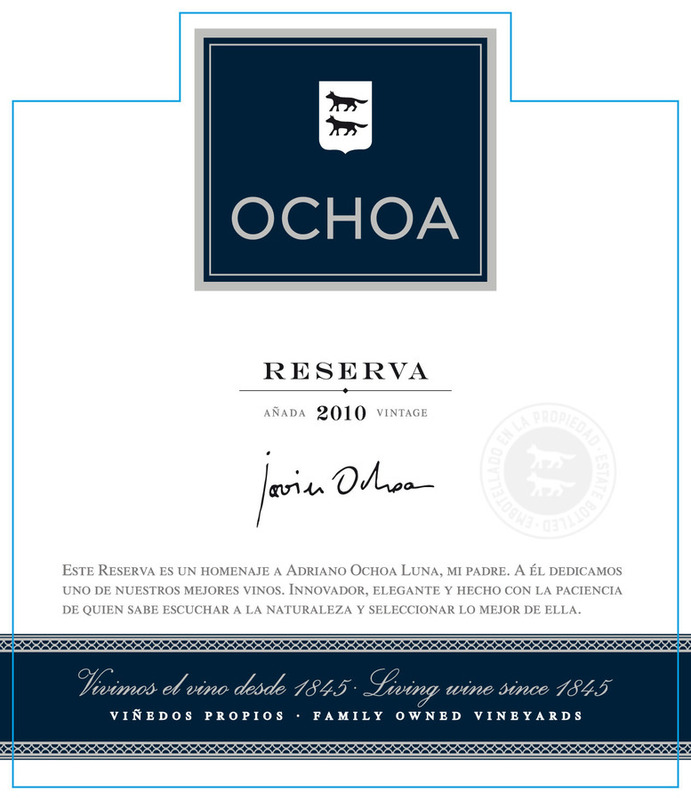 Ochoa Reserva is a mature, complex wine with a fruitiness showing through its elegance and silkiness. Crianza begins with the unfiltered wine, which is decanted off several times and aged in 225 L. American and French oak casks for a full twelve months. It is then kept bottled and controlled in the winery until it can be called Ochoa Reserva. This wine undergoes no stabilization treatments or processes and some sedimentation may therefore occur over time. To the eye: Well-aged, vivid ruby red, from its crianza. On the nose: Fruity and spice aromas of crianza. In the mouth: It is rounded, with nuances of ripe fruit and smooth tannins. Good passage through the mouth, balanced and gentle with rounded tannins. A flavourful wine that is generous, ample, and lingering on the palate.